This beautiful Neoclassical Revival house was originally built by Julius and Martha Levin in 1914 and restored by Sam Tarlton in 2001. 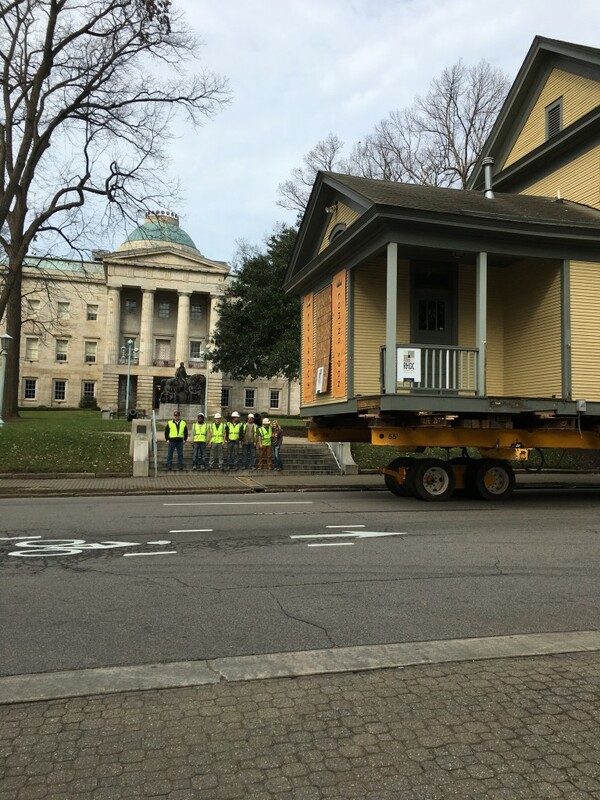 On Saturday, February 20, 2016, the Levin-Tarlton House was moved from its original site at 208 N. Harrington Street to 414 New Bern Avenue in Downtown Raleigh’s Historic Oakwood neighborhood. 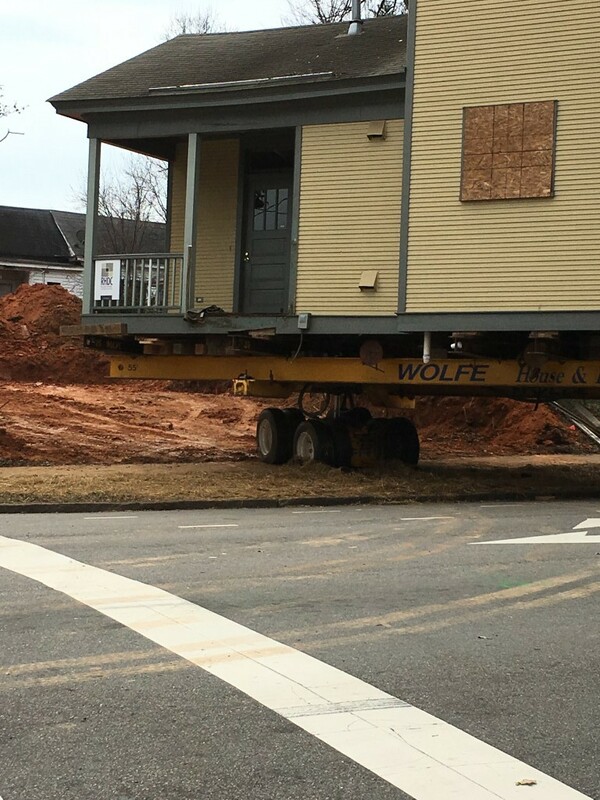 I really enjoyed seeing how the house-moving process works these days. 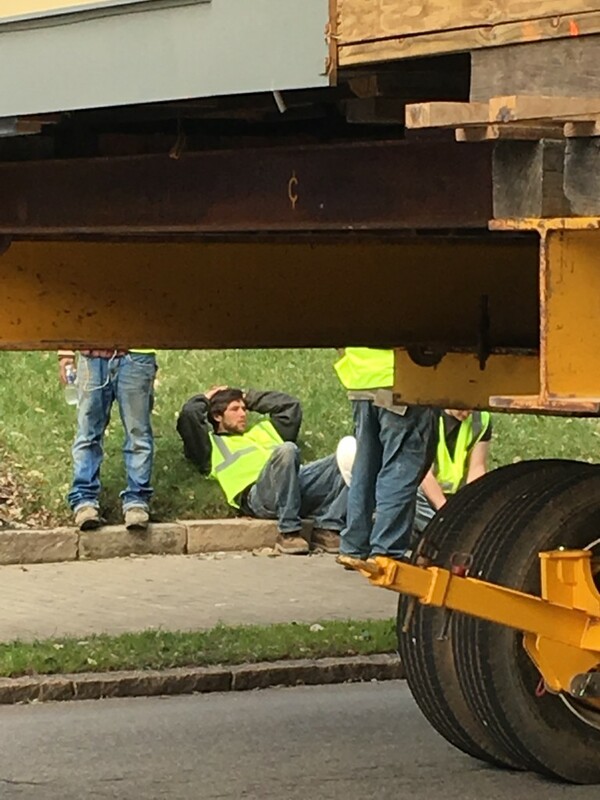 Instead of a big tractor pulling the house through the streets, there’s a generator on the porch of the house and a person controlling the movement with something like a joystick. Almost like playing with a remote-control car! Check out this video from the Raleigh News & Observer. 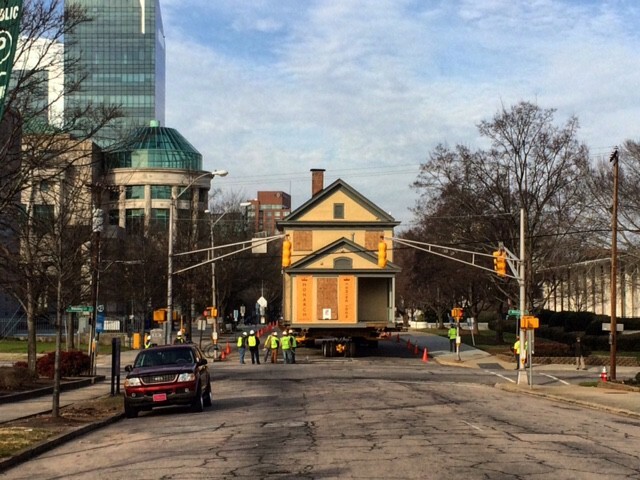 Here are photographs showing some of the Levin-Tarlton House’s journey to its new location, passing by some of the major landmarks in Downtown Raleigh. 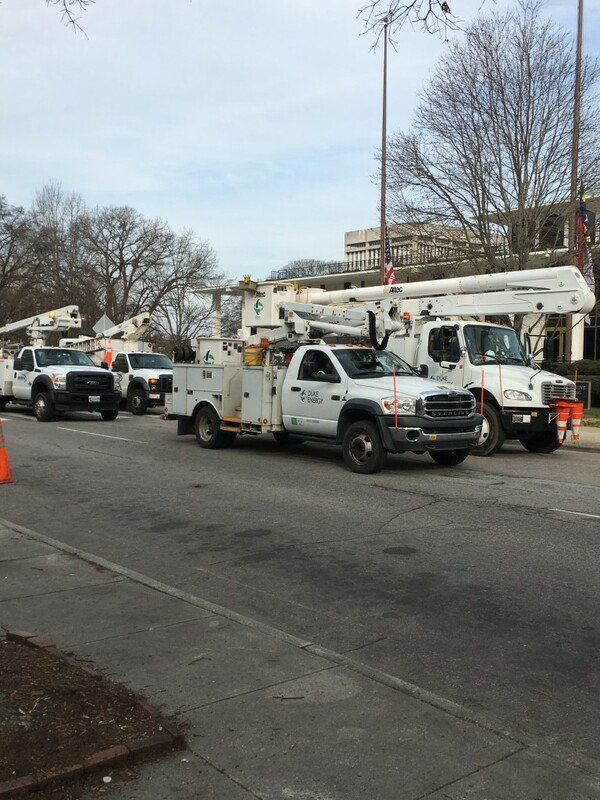 The Capitol, the N.C. Museum of Natural Sciences, and the Legislature were along the route. 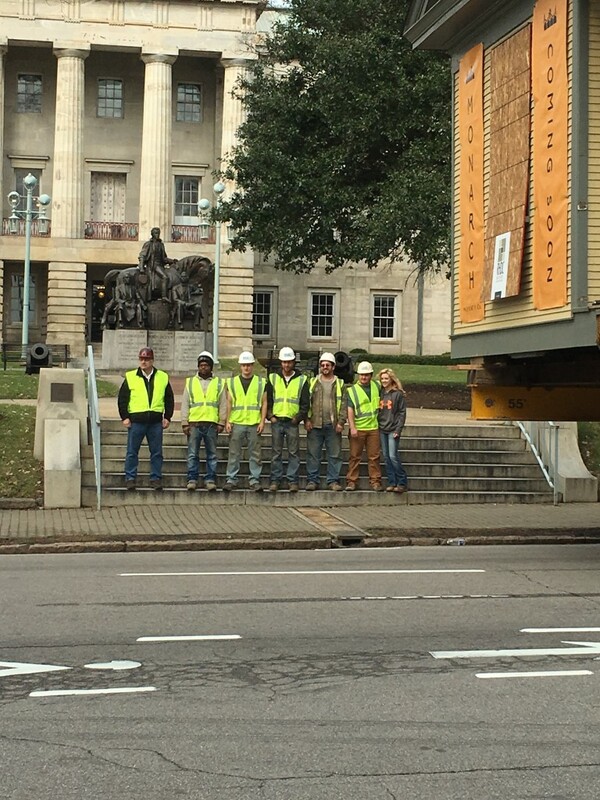 It takes a lot of manpower and a lot of equipment to move a house through the streets of a city. 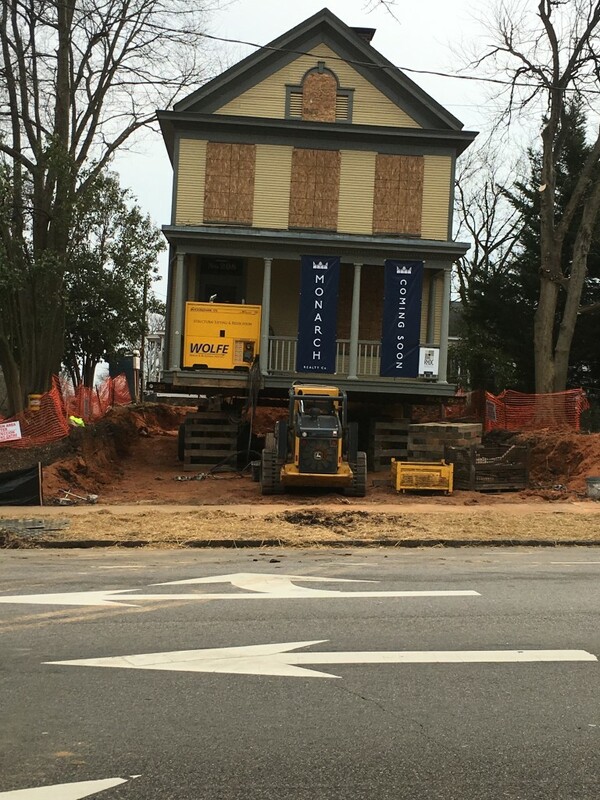 And here is the house finally landing on its new lot, where I’m sure it will settle in and be a happy home as the newest addition to the Historic Oakwood neighborhood.